Providing service to the Western Massachusetts and Greater Hartford Connecticut region, our Service department can pick-up and deliver your cart (additional charges may apply). 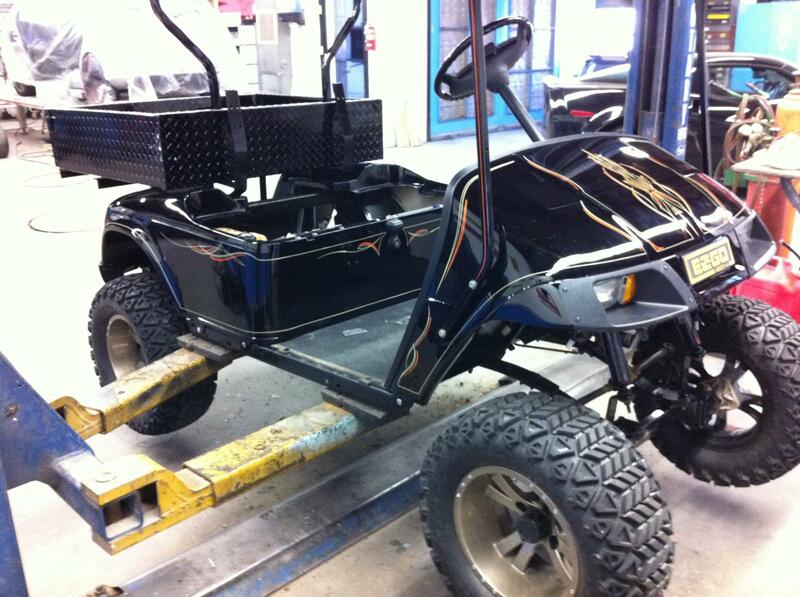 We can perform a golf cart routine service and all seasonal and required maintenance. All our services include a full bumper to bumper multi-point safety inspection! We are based in Somers, CT. There is no need to look anywhere else for your customization needs!! With over 25 years in the customization industry we can fulfill your wildest expectations! Whether you are looking to add Carbon Fiber accents or a new sterring wheel we can hook you up! Impress your spouse with custom paint & graphics or entertain the kids with a full custom stereo system install! No matter what size the job you can rely on us to make your cart unique and the talk of the camp ground or neighborhood! !